Heaven On Seven, an authentic Cajun cuisine restaurant located in downtown Naperville, is offering a special Valentine’s dinner for two. This weekend through Valentine’s Day (next Monday), Heaven On Seven will be featuring a special five course dinner for two for only $50 (plus tax & gratuity). It’s nice to see a Valentine’s dinner-deal being offered when many other restaurants do the very opposite, boosting prices or featuring a ‘special menu’ (with specially inflated prices). 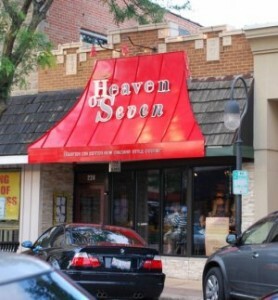 Heaven On Seven is located at 224 S. Main Street in downtown Naperville. They are well-known for their tasty gumbo and their red bean dishes. Call 630-717-0777 to make reservations.